If you happen to be in Los Angeles next week, they’re giving you a shot. The company already announced a roadshow-style tour in Europe, but there was no word on something similar for the US. That’ll change, starting at E3 next week. Today, Ubisoft announced that Assassin’s Creed players will be invited to participate in the first-ever Assassin’s Creed Syndicate Playtest Road Show with the first stop coinciding with the Electronic Entertainment Expo (E3). Participants will get exclusive hands-on time with the game and share detailed feedback directly with the development team to make an impact on the final game when it releases October 23. 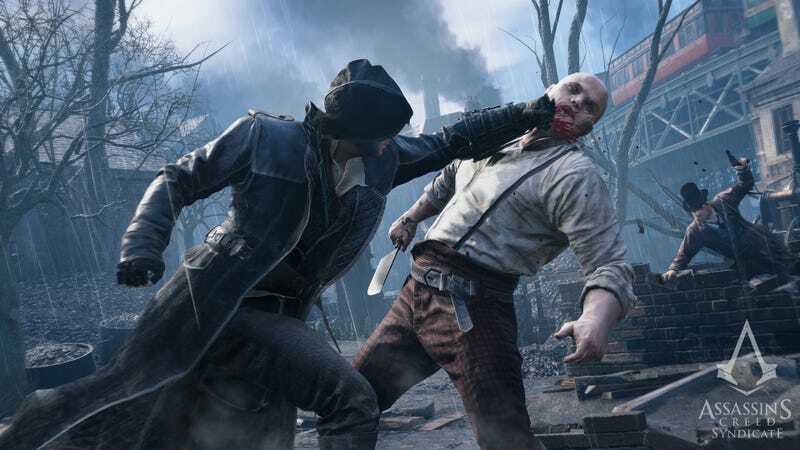 They’ll also get the opportunity to see the development process firsthand while experiencing Master Assassins Jacob and Evie Frye’s fight for London. The rest of the dates—if there are any—haven’t been announced just yet. To participate, send an email to playtestroadshow@ubisoft.com with your name, age, and a brief summary about why you should be allowed to come play the game months ahead of its release. If you’re in Europe, here’s where they’ll be stopping by.